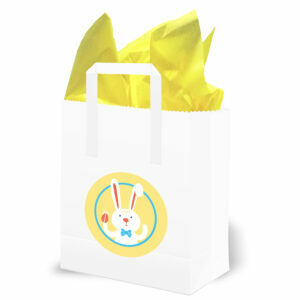 Pack of 10 White Party Bags with Handles. Each bag measures Approx 175mm wide x 210mm high x 70mm deep. 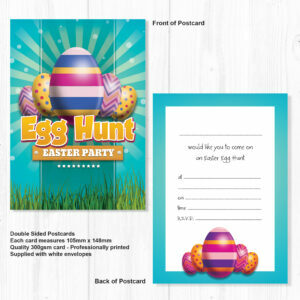 They come with 10 round glossy Easter bunny stickers (95mm diameter). 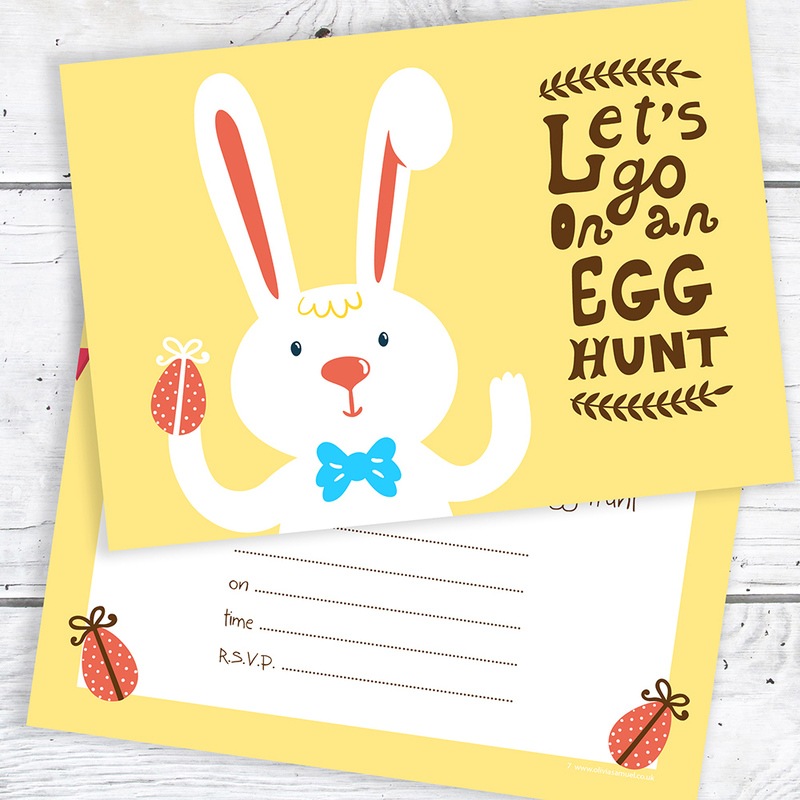 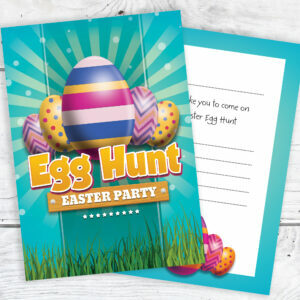 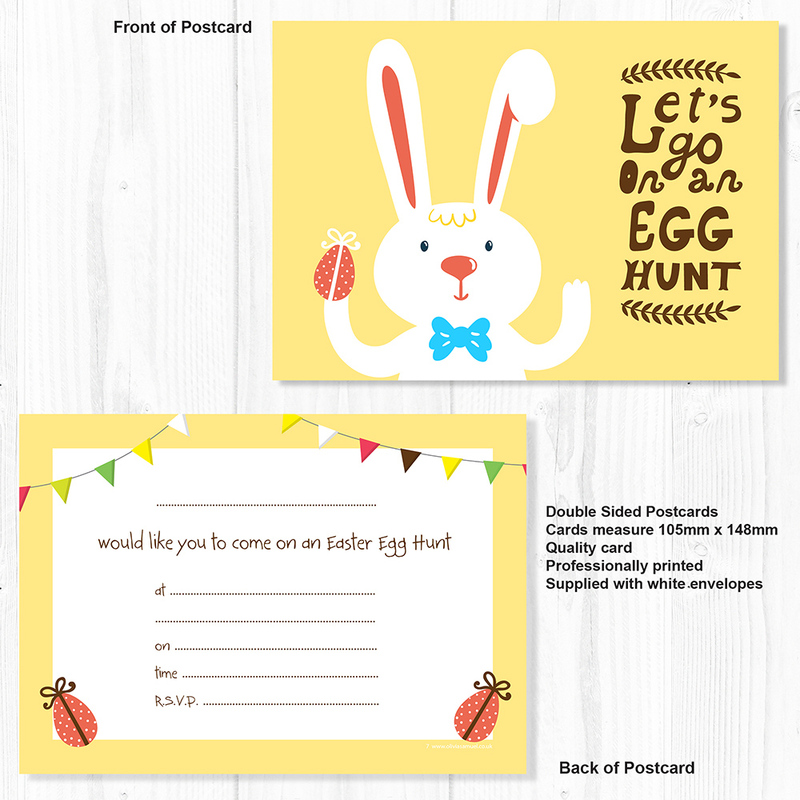 Ideal for children to collect egg of an Easter egg hunt. Supplied with 10 sheets of yellow tissue paper. 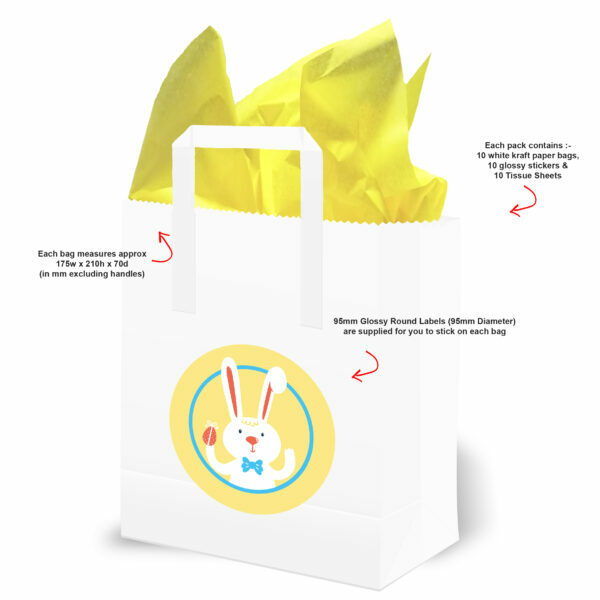 NOTE: The stickers come on a sheet to add to the bags and the sheets of tissue need to be crumpled and inserted in each bag.